It's barely a year now and we can't seems to get enough of how cruel people can be. 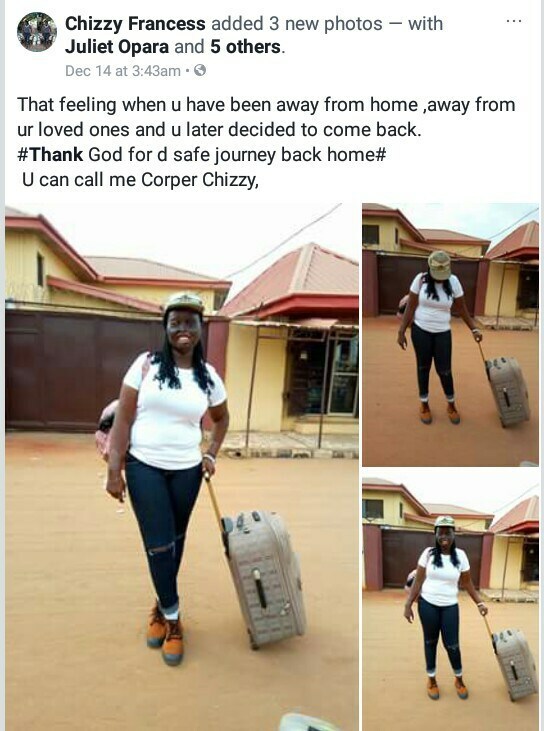 To think of it that such a good heart like Chizoba is involved in this act is heart wrecking. And here she is battered and left with no choice but to move on with life. They tried to truncate Her future but she didn't give in. Now she's a proud graduate serving Her fathers land like everyone else. This essence of this story is to motivate you never to give up on your dreams, no matter how hard they try, don't give in. 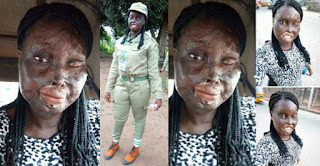 For those who don't know who she is, Chizoba Francess Obanye is an Acid burn survivor Who recently undergone her compulsory one year National youth service programme in Delta State. 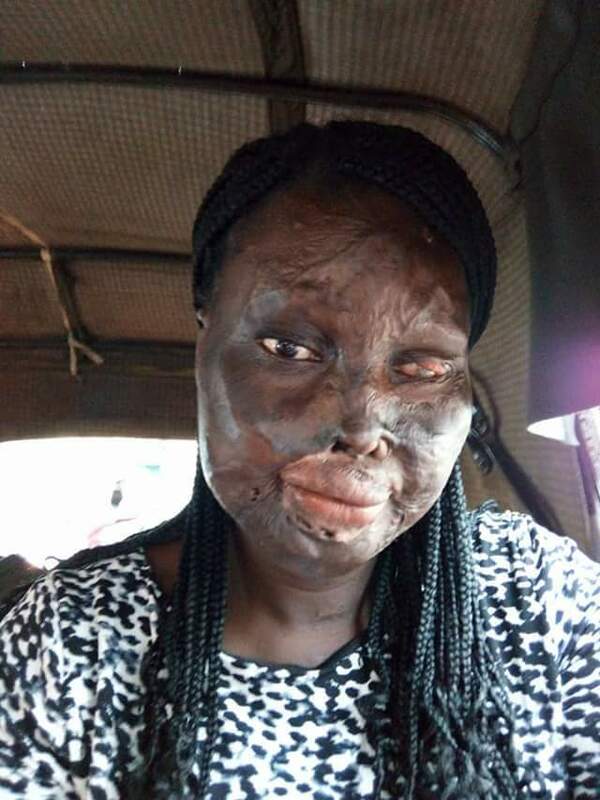 The acid survivor, Chizoba later took to Facebook to recall the challenges she faced after the attack by her uncle’s wife which changed her life and face. 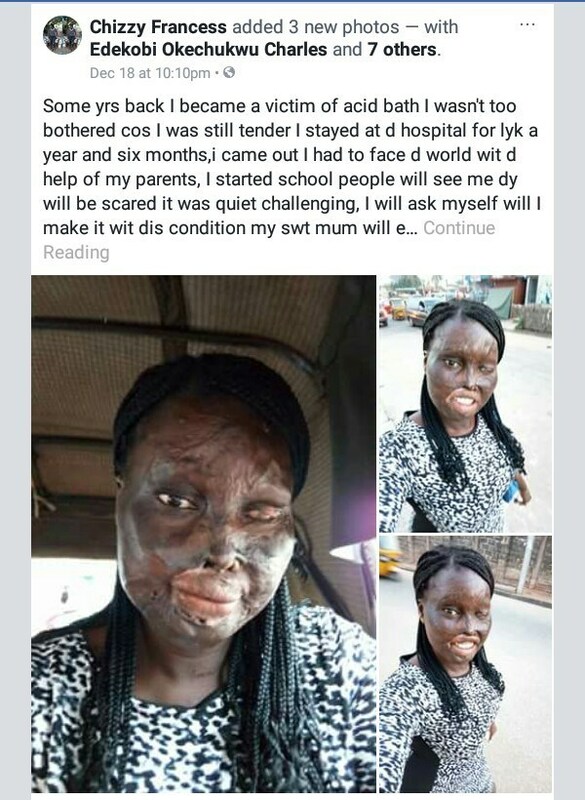 “Some yrs back I became a victim of acid bath I wasn’t too bothered cos I was still tender I stayed at d hospital for lyk a year and six months, i came out I had to face d world wit d help of my parents, I started school people will see me dy will be scared it was quiet challenging. I will ask myself will I make it wit dis condition my swt mum will encourage me swt hrt u will make it I will smile and be happy at least I will make it but my fear was will I be beta she will tell me I will, I entered sec school I paired with people some will like to relate wit me y some won’t still it did not stop me from moving on. Some will ask dose she has a boyfriend do u know y cos dy feel kno one will luv her wit a scar on her face I will laugh still I moved on. People were asking many questions about me cos I amaze people. 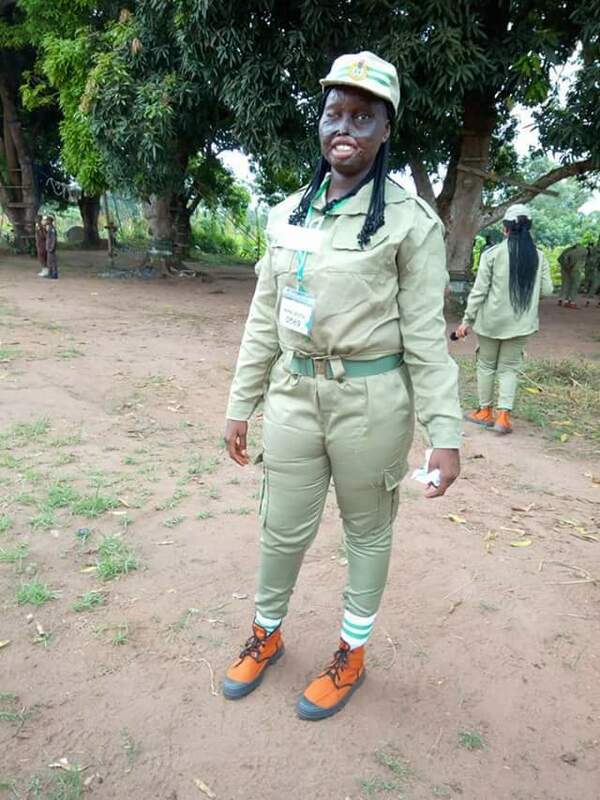 Today she is a graduate and a Corper is d God’s grace at work in my life. D funnest of all is dat my enemies did not know I will move on dis big and I will surprise dem making itbigger and letting d whole world know dat having a scar on ur face dosent stop u from shining.